Presentation Design Help is at Hand! Do You Use Modern Techniques & Methods? 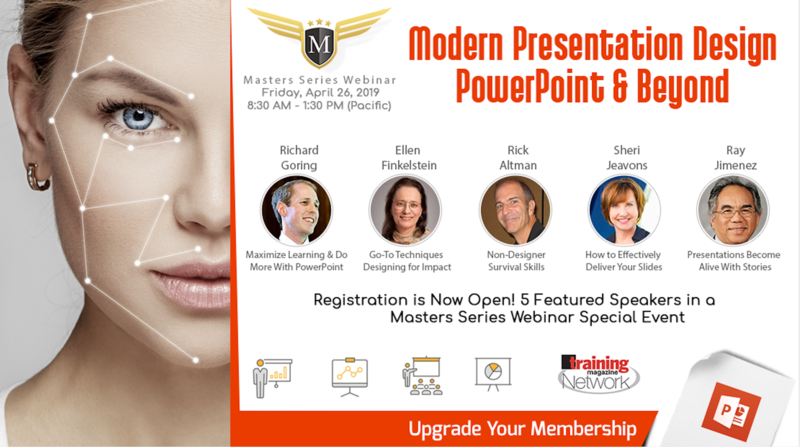 Access the webinar event of the season the TrainingMagNetwork.com member-exclusive event, The Masters Series - Modern Presentation Design - PowerPoint & Beyond. 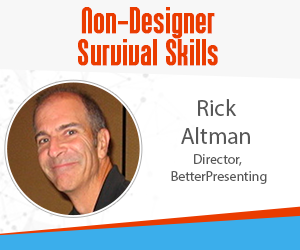 The dynamic keynote session and the full-day event will show you how to, use, manage and best impact your learners by using powerful presentation designs. Our experienced presenters will impart the latest tools, techniques and content design to impact your learners. To register for Modern Presentation Design - PowerPoint & Beyond's live online sessions & resources, upgrade your Basic level membership to Standard level or higher and attend for free, plus gain access to even more benefits. 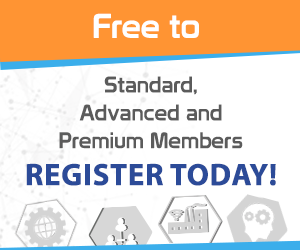 Already a Standard, Advanced or Premium member? Login to TrainingMagNetwork.com and select "Register" on this page. You will then be registered for all of the events, the keynote session and the main day sessions. Access the newest Masters Series Webinar for Free - $395 Value! 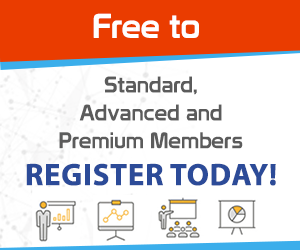 Richard Goring's keynote session to the Masters Series on Tuesday, April 23, 2019 is open to the entire TrainingMagNetwork.com community click here to register for that session only. Please click on the session names below for a detailed description of each special event. 13 Easy Go-To PowerPoint Techniques For High-Impact Learning-Friendly Slides! Ellen Finkelstein, Owner, Ellen Finkelstein, Inc. Attend the Live Keynote and Masters Series Webinar & Gain Access to 32 Exclusive Masters Series Recordings!